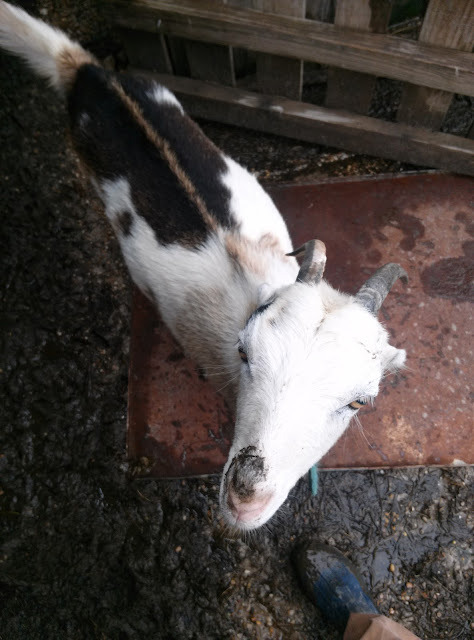 Today Gwen learned that getting caught jumping the net fence around the chick pen is a bad idea. She knows better than to go over that fence so when she got caught she tried to book it back on the other side only to get tangled up in the netting and face plant in the mud. I snapped this picture after I stopped laughing at her. If goat looks could kill. Meanwhile, the latest batch of bunnies are doing well. 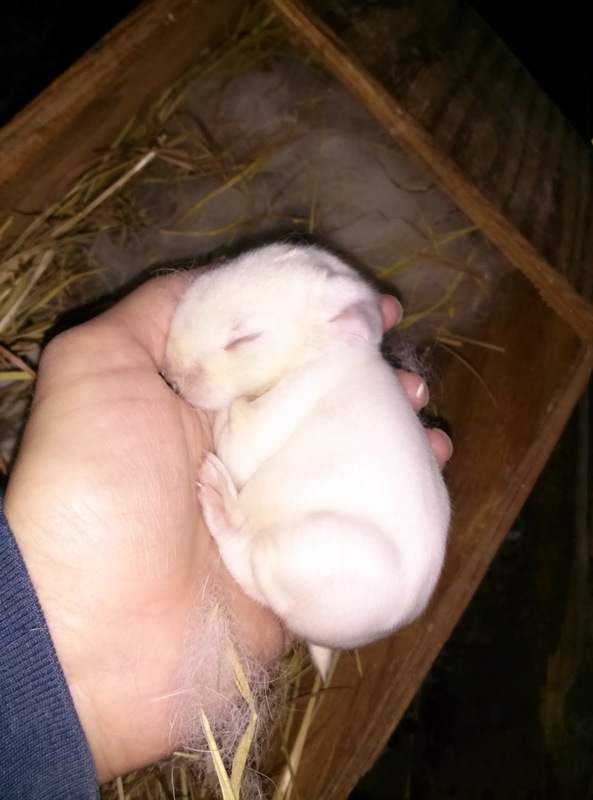 They are about a week old so they are covered in a short coat of soft white fuzz, and their eyes should be opening pretty soon. 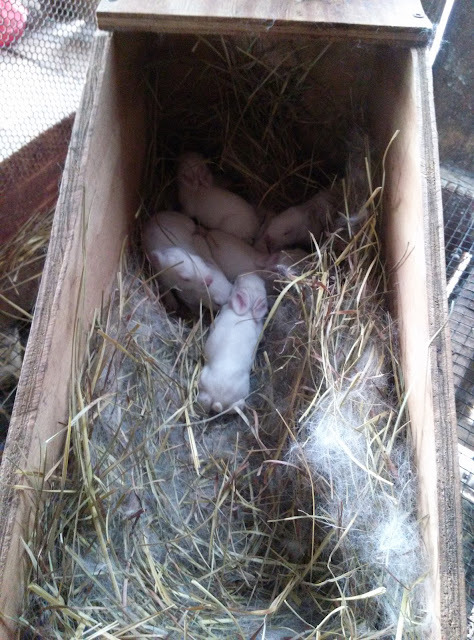 Clover had 9 bunnies. T had 7. Both very respectable litter numbers. Clover had two more that she gave birth to outside the nest box. They got too cold and died before we found them. Since then we have had no more bunny losses. Always a good thing. The giant bun in the picture above is one of T's. This is her second litter and both times she had huge, monster babies. The older bunnies are living large in the giant rabbit tractor that Big Onion built for them. It has an extra layer of x-pens around it because certain canine miscreants decided they needed to get up close and personal with the bunnies. The bunnies are doing a great job of mowing the backyard for us. Plus having them on the ground cuts way back on feed. Now we just need about four more tractors like this and we'll never need to mow the backyard again!